The Nintendo Direct broadcasts keep coming, with a Xenoblade Chronicles 2 special just hours away. It's not necessarily surprising that we're getting this particular presentation - Xenoblade Chronicles X had its own Direct in 2015 - and there's plenty of scope for Nintendo to keep us intrigued with the game just under a month away. Of course we've actually seen quite a lot of the game already. It had a flashy trailer and some Nintendo Treehouse time during E3, and an extended segment in the September Direct. As a result some will wonder how much more there is to say, but anyone that's played a Xenoblade game will know there's a lot that could yet be covered. 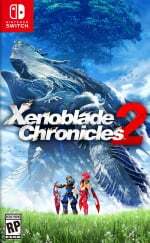 When is the Xenoblade Chronicles 2 Nintendo Direct? The broadcast is early in North America but rather accommodating in Europe - it all goes down at 6am Pacific / 9am Eastern / 2pm UK / 3pm CET on 7th November. 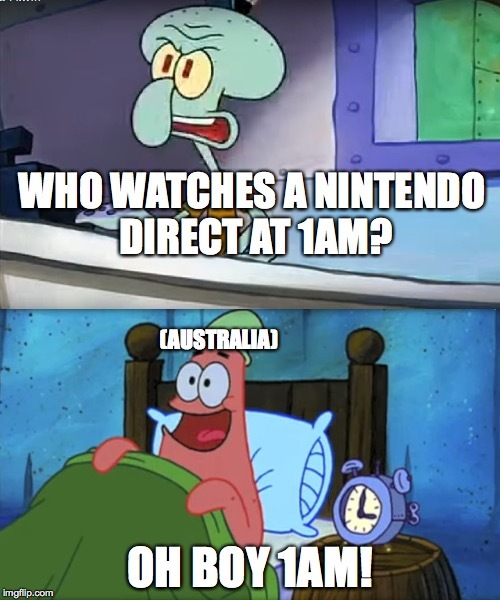 If you're in Australia / New Zealand it's a slightly painful 1am AEDT on 8th November. So, bearing in mind this is a Xenoblade Chronicles 2 Direct we don't expect any whopping surprises, but we do hope to learn more about the following goodies in the broadcast. Yes, we've already seen a fair amount of this, but there's more to come because, well, it's a Xenoblade game. We know the main protagonists and a few 'Blades', and the September Direct took a look at a handful of the varied factions that feature in the world. It notably didn't go through all of the factions so it seems highly likely that gaps will be filled. Ultimately, we may get given a better sense of how the journey (at least early on) unfolds, and where protagonist Rex begins his adventure. Beyond that we're intrigued to see whether the lore makes any notable nods to the first Xenoblade Chronicles, the sort of references that will give established fans a warm and fuzzy feeling. We also expect more regional dialects that'll be both delightful and absurdly cheesy. Trailers up to now have featured the likes of posh English, Cockney, 'och aye the noo' Scots and some Aussies from down under. Give a Yorkshire (region of England, for those of you outside old Blighty) accent to a tall and slightly obese man with a moustache and the set will be nearly complete. This one is perhaps a 'maybe', because Nintendo's tackled this before, but if the company decides that it's targeting those on the fence it may take another punt at pitching the neat blend of real-time and strategy that the series has used from the beginning. Expect Blades to be a big focus, as they have been on the official Japanese Twitter account, for example. In truth the combat seems more like an evolution than a revolution; yes, there's fancy new terminology, but you still auto-attack and activate arts, while balancing a team with healers, tanks and all-rounders. The same core principles seem to be there, but pleasingly the user interface looks chunkier and clearer than the eye-strain inducing miniature text of X. That said, combat's biggest evolution is away from the field in those menus that all of us Xenoblade Chronicles fans know so well. With the ability to build relationships with a dauntingly broad range of Blades, all seemingly with their own distinct qualities, there'll no doubt be substantial depth to add to the familiar battle action. Quite how Nintendo condenses this into a Direct will be interesting to see. Nintendo has shown a variety of impressive environments, and we already have the sense that this game will be ludicrously big. That said we've not learnt a great deal about what you do in various towns and lands when it comes to engaging with the locals. One point of interest, for example, is trading. If you think Link carries a lot around with no obvious place to keep his goods, play a Xenoblade game. Inventory screens have sub menus for sub menus, and there's impressive depth. The first game - if this writer's memory is correct - was more about natural resources to sell or indeed forge into useful things through towns. X on Wii U went big with lots of shops, upgrades and crafting to deal with, to an almost baffling degree. Obviously this sequel doesn't have an economy around Mechs (called Skells or Dolls in X, depending on your region), to deal with, but we're interested to see how much a savvy trading mind will help with the adventure. Xenoblade Chronicles games are all about questing. Sometimes it's the big things like saving the world, but occasionally you'll spend an hour looking for one more Translucent Slug just because an old woman wants to make her favourite soup for a Nopon. These games have incredible numbers of quests, traditionally, and surely this'll be no different. This category also taps into the trading and world sections above, of course, as it all interconnects. The Direct may showcase some examples of major- and sub-quests, perhaps as a means of building bonds and relationships with factions. Perhaps, like in X, you'll eventually need to 'choose' a faction / side, and quests could adjust to that decision. The storyline already seems interesting, with the goal of reaching a World Tree and land, but the scene has also been set for cross faction intricacies to play into the experience. While the Wii original didn't dive as deeply as spin-off X into those ideas, perhaps we'll see a middle-ground here. In our view the online elements of Xenoblade Chronicles X were better in theory than in practice. There was a nice idea that you could dip into shared goals with others online - as part of a faction system - along with a concept of epic team battles against enormous monstrosities. A slightly baffling UI, difficulty spikes and the tortuous process of actually getting a team battle going made it a bit of a miss, but considering the giddy scope of the core game we didn't mind too much. Will this game have some similar ideas? An early instinct is that it won't, as Monolith Soft may want to focus more on the core adventure and avoid distractions. Nevertheless it's possible. Those are some of our thoughts on what we expect in the Xenoblade Chronicles 2 Nintendo Direct. What do you hope to see in the broadcast? Let us know in the comments, and be sure to join us for the live stream / blog / chat when it comes around. I don't know if I'll watch this, there seems to be so many spoilers in these Directs. The game looks great and I've complete faith in Monolith Soft. I'll buy the game eventually and will look out for reviews. I will not be buying the Collector's Edition for €80. The game can be bought for half that price, the extras aren't worth double the price. There's still a ton to learn about this game. Previous trailers and showcases have mainly focused on combat. I hope this Direct will put its focus elsewhere, primarily on story, character development, leveling and inventory. Also, the confirmation of Japanese audio would be greatly appreciated. There’s almost too much content in the Xenoblade games. I’m super excited to dig into this one. Seriously though, I'll probably just watch a couple of clips from GamExplain after the fact, I have an exam to worry about. I'd rather a 1am time than 6/9am, 2/3pm. That's no good for anyone that works a day job unless that day job is covering video game news for a website! Anyway I thought Rex had a Yorkshire accent? It's not posh English or cockney. Definitely northern. Why not just wait for the Direct? This like an announcement for an announcement (ex, The President is expected to announce his new tax plan tomorrow). @Baker1000 Sorry, it's even worse. I got the currencies mixed up. 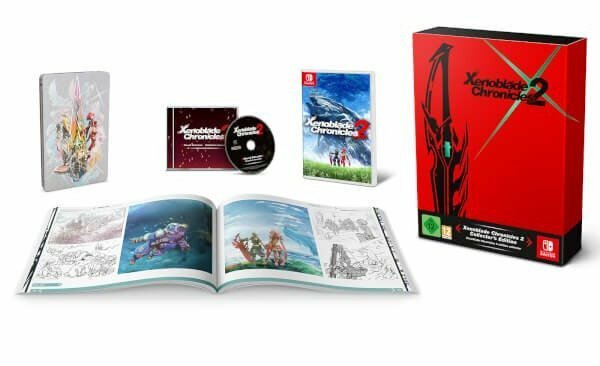 XCX Collector's Edition for Wii U cost €60 while this costs €90. There's no justification for a 50% increase in price. Do they really need another Direct for this game? So much time was spent on it in the last Direct. What else is there to discuss without getting too far into spoiling the game? @SLIGEACH_EIRE Could be a combination of increased production costs (Nintendo went for the largest game card to fit the whole game?) and the fact that, compared to the European collectors edition theres probably more stuff in this one that costs more? Originally it was the game, an art book, map, and steel book case, whereas this one has all that and the CD soundtrack, and I think I read that the art book is much larger. I could be wrong though. So, 7 Nov 2017/ 2 pm for UK = 7 Nov 2017 / 8 pm for West Indonesia Zone ? @Trikeboy If only we could not watch the direct. If only we had that option. I'm hoping they'll reveal something along the same lines as the Skells from XCX. I remember how my jaw dropped watching the E3 playthrough on the combat, back when all we were shown was just environments and some creatures up until that point. And then all of a sudden, they just casually boarded their Skells nearby to continue the fight! And they were good mecha designs, too! I was so hyped! So yeah, I'm hoping we'll get something like that in XC2. 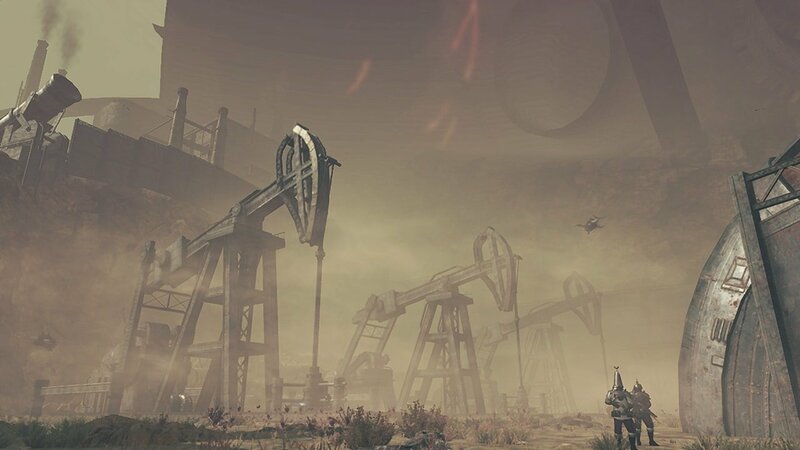 Maybe we get to control and fight using the titans later in the game? That would be insane! @SLIGEACH_EIRE It's only 10 dollars more expensive in the US and has a steelbook and the artbook is a hardcover. I'll take it. I just want a little more explanation on the battle system and the storyline. Rex is heading to Elysium. Big deal. Why is he going there? @abbyhitter Rex is helping Pyra reach Elysium. Why? I guess wait and see. Though I wouldn't be surprised if she was created in Elysium and fell down somehow, and now she wants answers. Glad it's my day off tomorrow so I can watch this. I hope you didn't need to finish the first one to enjoy/understand this though because I haven't had the time to do that. I don't want spoilers of the plot. I'd just need a good trailer that rises the hype. That's it. No more going deep into combat, or talking too much about that story we are going to live in a month. That world we are to visit. I'm excited for this game! I love the first game so hopefully this one will be even better. Here's to hoping for a direct for Atlus. I need my Persona Q2 news, more on Strange Journey Redux. Maybe a little more for The Alliance Alive, and of course Radiant Historia. I don't think I'll bother watching. Nintendo likes to take a game and spoil 3/4 of it before it actually releases. I want to see more of it to decide whether I'd enjoy it or not, but I'll do that some other way. Based on the times it is airing, I don't think they're targeting anyone outside of Japan. Isn't this like prime time for their zone? Everywhere else though, at least it's "live" right? 9AM, gives us all an excuse to get out of bed on the kids day off. We'll be watching for the Shulk amiibo, no others, I think the article was spot on there. Really wanted that Pro, but can't justify the extra $5 just for the colors. Ntinedo really knows how to milk things. The Pokemon ball New 2DS XL is $10 more too. SMO Switch bundle was $380 for the console, download code for a game, and a really cheap thin case. So I'll look for a CArtwheel deal at Target for the normal one. Also didn't buy the deluxe set as Amazon no longer gives the 20% Prime discount, so ti was $48 for the game or $100 for the game plus the swag. I dont' like swag more than I like the game. See ya all in the morning. Shulk price on the internet is all over the place, if Amiibo is anything like Zelda BOTW, expect him to hit a solid $75-$80 easy right after the direct. Fellow Ninty fans...this game looks amazing, we need to make this a million seller. Haven't finished the first one or X on the Wii U. They are good and I will eventually. Because I'm going all downloads on the Switch there is no hurry in getting this. I thought this was going to come on at night in the US. Turns out it's in the morning. Either way, I won't be able to watch it live. I don't know what to expect. As long as they don't announce DLC for the game it should be good. Seriously why has no one said this yet in the comment section?? I expect at $19.99 dollar day 1 DLC pack advertising two phases of extra content to be released in Summer ‘18 including extra side quests and then Winter ‘19 story content including Shulk’s Xenoblade Chronicles connection and Cross’ Xenoblade Chronicles X connection. Back Slash! This is the power of the Monado!!! Really hoping for that dual audio to be there. @Danpal65 haha that’s us! Though I’ll be waking up at 5:30am thankyou! Can't wait to play with japanese voices. Surely they'll give us the option this time? I'm not sure what to think about this game. I've never played the original but I own it, so really should give it a play sometime soon. I played through XCX and was pretty underwhelmed. The world looked amazing, and I liked the combat system when I understood it. But the characters and story were pretty horrendous, and the side quests even worse. I've no idea how much of that is unique to XCX, or if that's standard for the Xenoblade franchise. From what I've seen of this so far, the characters look to be as bad as in XCX, if not worse, but I hope to be proven wrong. I think it's worth remembering that we've already had one XC2 direct, and that information about XCX was released in a series of videos (Survival Guides) that seem to have followed a similar structure. The first Survival Guide introduced the setting, factions and their roles in the world... this was covered in the first XC2 direct. The second Survival Guide covered the standard combat system... this was also covered in the first XC2 direct. The third Survival Guide looked at the Skells in more detail... obviously there are no Skells in XC2, but the blades could be considered similar in that they add an additional layer to combat, with these having also been covered in the first XC2 direct. 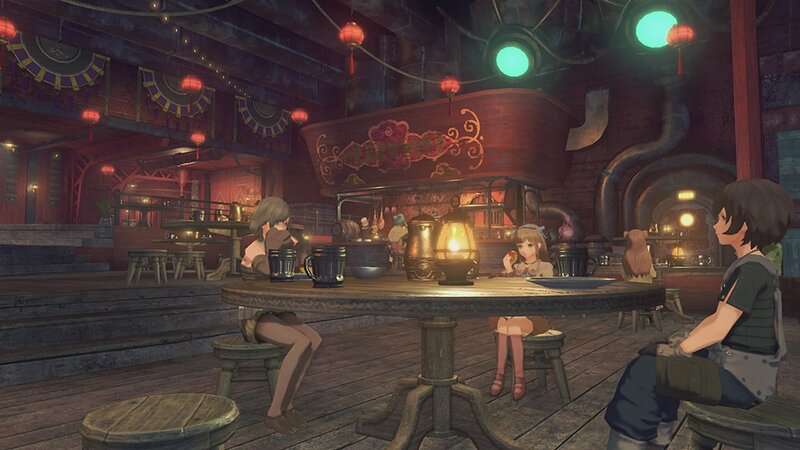 The fourth Survival Guide covered side quests, resource management, and crafting... all of which we have seen very little of for XC2 so far, so will likely be covered in this direct. The fifth Survival Guide went over the online features... the lack of customisable characters makes it unlikely that XC2 will get this in the same form as XCX, but we can probably expect some sort of online features to be introduced in this direct. @onex Not really primetime in Japan, no, more like 10/11pm I think? I’m excited to learn more. I probably won’t get it day one, but Xenoblade is one of my favorite series. And this one looks great. If it's not got Sean Bean in it, I'm not buying it! I'm expecting amiibo to pop up somewhere this time...maybe more about the world or story. I actually am hesitant to watch this. I don't want to spoil it. I am confident that Nintendo wouldn't have any huge spoilers, but I still want to jump into the game pretty much clear and blind. Plus info on Virtual Console and if I don't get even one of these I'll moan and moan non-stop online and call Nintendo the worst ever. <— -Totally called the expansion pass. @SLIGEACH_EIRE XCX only had a small art book, steelbook and poster so I can see where the price increase comes from. My point still stands that in £ the extra cost compared with the standard £50 for the game seems about right. But whatever, people will buy it if they want it that much.